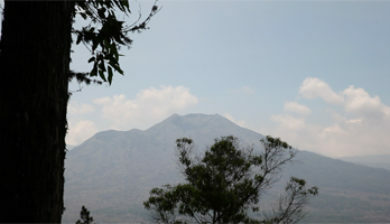 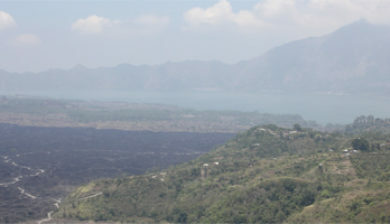 (Gunung Batur) is an active volcano located at the center of two concentric calderas north west of Mount Agung on the island of Bali, Indonesia. 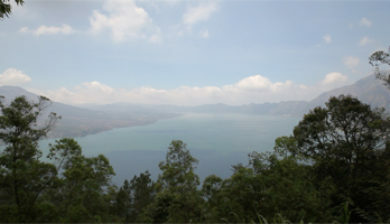 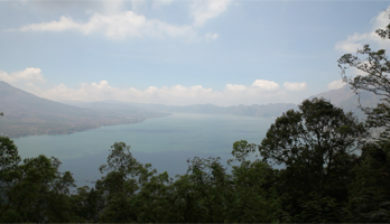 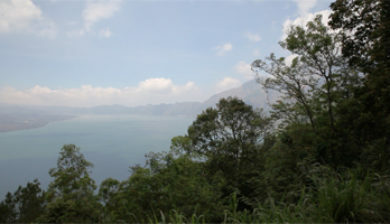 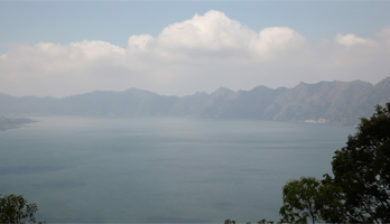 The south east side of the larger 10×13 km caldera contains a caldera lake. 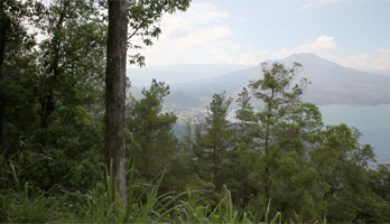 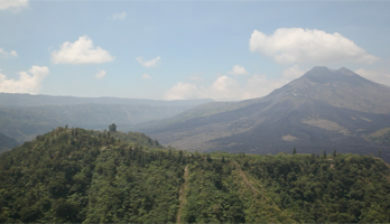 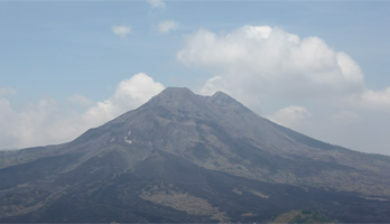 The inner 7.5-kilometer-wide caldera, which was formed during emplacement of the Bali (or Ubud) ignimbrite, has been dated at about 23,670 and 28,500 years ago. 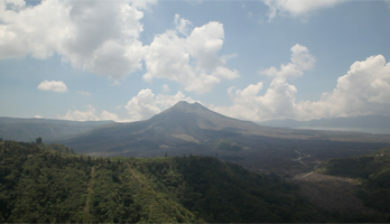 The first documented eruption was in 1804 and the most recent was in 2000.